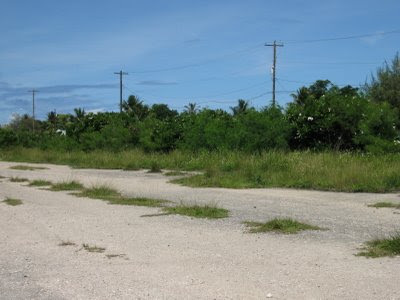 Phase I. I consider Phase I of the clean up of the Koblerville substation/Youth Center Park to be the reclamation of this area from the jungle it had grown into. 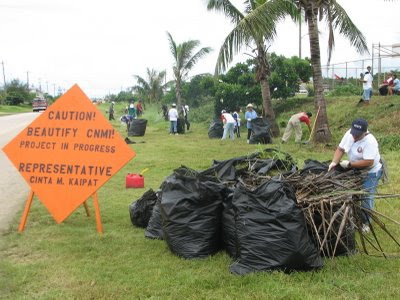 Those who participated in this initial cleanup included the Parole Office volunteers, who were led by Chief Lee Guerero; co-area adoptee Rep. Cinta Kaipat's Office and Family; Friends of the Mariana Islands members (formerly MOVER), led by their president, Ms. Marites Castillo; super volunteers Juanita Fajardo and Adam Sablan; our volunteers from the Church of Latter Day Saints; Angelo Villagomez, representing Beautify CNMI! 's Restoration Committee and RC&D;and other community volunteers. Phase II. 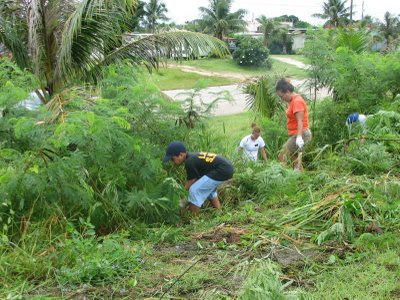 Since then, co-adoptees Parole Office and Rep. Kaipat's Office and Family have either worked independently or with others, such as the National Honor Society students from Saipan Southern High School and the JROTC Manta Rays to maintain this area. This is a major project that is sure to go on perpetually until our goal of building a Koblerville Community Park is realized. DLNR Forestry and DPL have pledged their support to work with us on this plan. Phase III. I consider Phase III to be the expansion of our maintenance of this area into the middle part of the park. 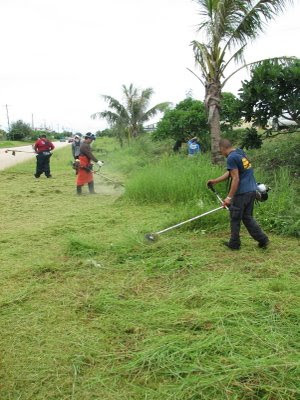 The Parolees removed weed and debris. 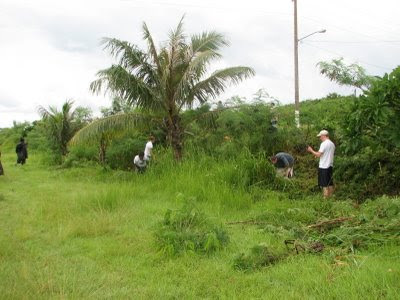 This is good because people were creating an illegal dumpsite area because of the overgrown weed. Below are some pictures which provide an update of this project thus far. The Parole volunteers received additional help from Rep. Waki and staff. Thank you! 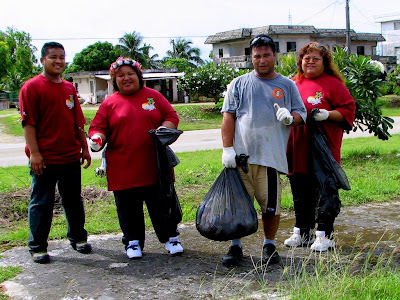 Here are some pictures of my crew during the hugely successful "1020 on 10/20 Island-wide Cleanup."